Are you interested in using Stremio? This article will explain what Stremio is and how you can use it as part of your home media setup. With the number of people looking for alternatives to cable TV packages on the rise, the use of media center software like Kodi and Plex has become far more commonplace. However, while there is a wealth of tutorials for these packages, it can be difficult to find reliable information about less well-known software like Stremio. 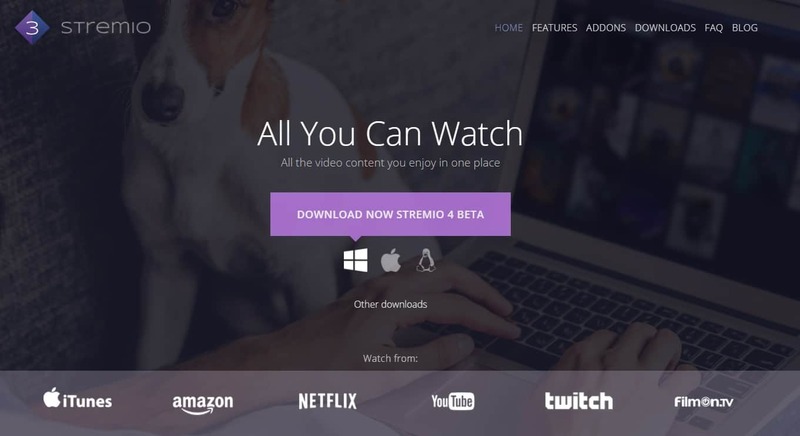 This article will walk you through what Stremio is, how to install it, and how to configure it to find the type of content you want to watch. Unlike Kodi, Stremio tries to be as user-friendly as possible. As a result, many of its features are easy to understand. Despite this, there are a few that aren’t as easy to navigate. We’ll explain what they are and how you can use them to maximize Stremio’s potential. The vast majority of Stremio’s addons offer properly licensed content but there are a few that don’t. We encourage our readers to use only official sources and to research their country’s copyright laws before attempting to use Stremio or similar software. Warning: Stremio should only be used for content to which you have the legal right to access. Neither the Stremio developers nor Comparitech advocate the use of Stremio for piracy. Some people use virtual private networks (VPNs) to hide unlicensed streaming from their internet service provider (ISP). However, VPNs have many other uses. They can greatly benefit most people, including those that only stream officially licensed content. VPNs encrypt your network traffic, making it unreadable to any outside observer. This prevents most kinds of Man-in-the-Middle attacks and also prevents your ISP from selling your browsing habits or using them to justify throttling your internet speeds. Every VPN will slow your connection down to some degree, however, some have more impact than others. Additionally, some VPNs have been found to include malware and others had their users contribute to a botnet, making it integral that VPN users choose the right service. We recommend IPVanish. It’s one of the most portable VPNs available and can be installed on your PC, smartphone, and Amazon Firestick easily. Also, IPVanish offers consistent, high-speed connections to servers in more than 50 countries. READER DEAL: save up to 60% on an IPVanish here. 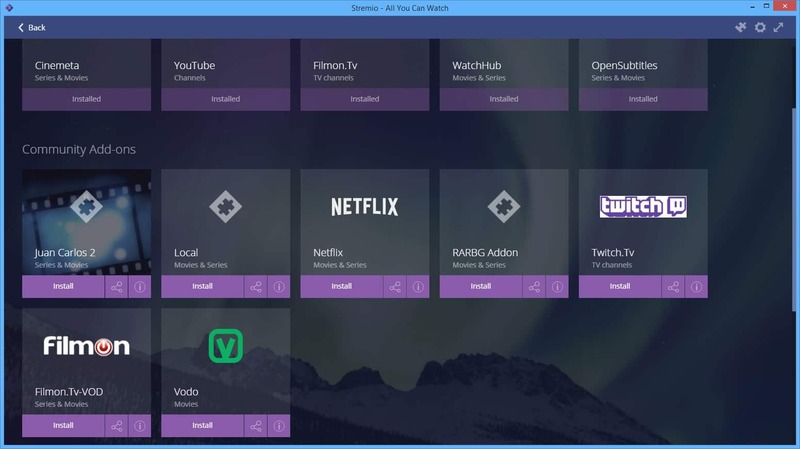 At its heart, Stremio is a media center application for desktop PC, smartphones, and tablets. You can’t install Stremio on most TVs directly, but you can cast it using a Chromecast, Apple TV, or the DLNA protocol. 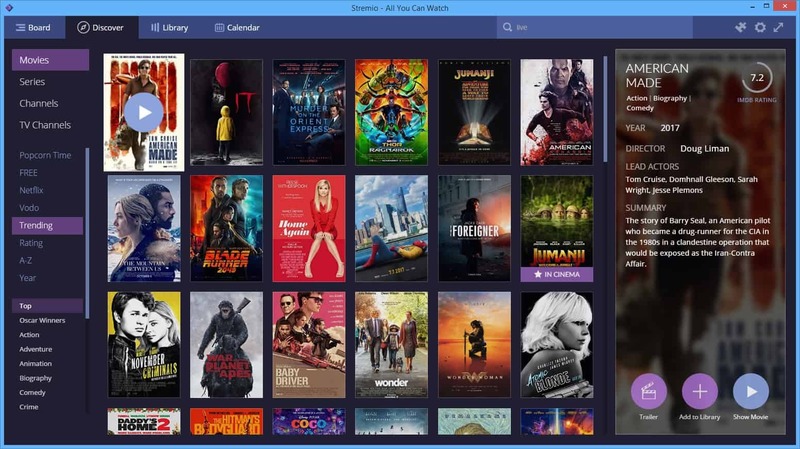 Stremio has a few key differences that set it apart from programs like Kodi.. To begin with, it’s designed to be as intuitive and user-friendly as possible. Kodi, on the other hand, offers the user greater functionality but can be a bit daunting to new users. Secondly, none of Stremio’s addons are installed on the user’s computer. This means that there’s no chance of a rogue developer running malicious code on your system. It also means that these addons are easy to create as they’re essentially just lists of sources. Should the website hosting these addons go down, the addon will stop working completely instead of providing partial functionality. Because of this, users will quickly be aware of any issues that occur and can consult official channels for advice. Stremio users can’t install customized builds or skins as with Kodi so there’s no chance of accidentally breaking your installation. That said, as simple as it seems, Stremio can be used for more than just watching movies. It can be tailored to suggest content relevant to your interests, sync your watch history to Trakt, and even keep track of when the next episode of your favorite show is released. Installing Stremio is very simple. Start by going to the Stremio homepage, choosing your operating system, and clicking the Download Now button. Once the installer has finished downloading, run it. You’ll be asked to login. You can either create a dedicated Stremio account or choose to login with Facebook. Stremio notes that it won’t post anything on your wall so it really doesn’t matter which option you choose. You can also login as a guest by clicking Log in, then Guest Login but your settings won’t be saved if you log out. Once you log in, you’ll be asked to select at least three categories of content. Stremio uses this information to suggest relevant videos and you can choose as many as you like. Now that Stremio is installed and you’re logged in, let’s take a closer look at its basic features. On the main screen (called a “board”), you’ll see a selection of recommended videos based on the categories you selected earlier. It’s important to note that not all of these are available – they’re simply titles you might be interested in. If you click on one, you can see all available sources on the right-hand side of the screen. You can also search for a specific title using the bar at the top of the screen, if you’d prefer. So how do you find content that you can actually watch? Click the Discover tab at the top of the screen. If you click the Free menu option on the left, you’ll see a list of movies. These are all available from at least one official source without any payment required. In comparison to Kodi, Stremio has a very limited selection of addons. Also, the community addons section contains some that come with significant security risks. For this reason, we strongly recommend avoiding the RARBG and Juan Carlos 2 addons. These use peer-to-peer (P2P) networks, which while not inherently illegal, are known for hosting copyright-infringing material. If you click the jigsaw piece icon in the top-right, you’ll be taken to the addons page. This shows all the addons available. All of the official addons can be installed with a single click, but confirmation is required for the P2P addons mentioned earlier. It should be noted that while YouTube videos can be watched directly in the Stremio application, all other sources redirect you to the relevant website. This ensures you don’t have to trust Stremio with your login details, further enhancing the security of its users. As long as your mobile device is connected to the same network as the computer running Stremio, you can control it remotely. If you click the gear icon in the top-right and scroll down to the bottom of the list that appears, you’ll see a QR code. Scanning the code directs you to a website that gives you full control of the application without having to install anything directly onto your smartphone or tablet. Stremio has a good range of advanced functionality that let you take your media consumption to the next level. Below, we’ll walk you through these features. Trakt is a web-based service that allows you to automatically keep track of the titles you’ve watched. As with the Kodi addon for Trakt, this is primarily used to sync your local library instead of the content you’ve streamed. First you’ll need a Trakt account, so create one here. Next, click the gear icon in Stremio and click Authorize under the Trakt Scrobbling heading. You’ll be redirected to the Trakt website where you can confirm that Stremio is allowed to access your account. Now try playing something from your media library. If everything works as intended, you should see the movie or TV show appear in your Trakt watch history. This feature is fairly unreliable, however, and may not work with certain sources. 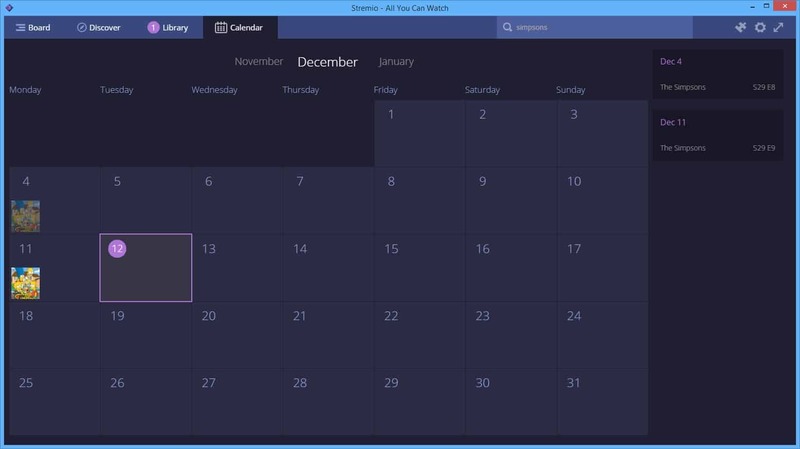 Stremio has a built-in calendar that can be used to keep track of ongoing TV shows. Before you can use it, though, you’ll have to tell it what shows you’re interested in. There are a few ways to do this. You can import your existing Trakt library, import locally stored shows, select titles from the Discover tab, or allow Stremio to find TV shows that you’ve liked on Facebook. For simplicity’s sake, we’ll be selecting content from the Discover tab. If we add The SImpsons to our library then check the calendar, we can see all of the dates when it aired or will be airing. Of course, for unreleased titles, the final dates are subject to change and Stremio can only provide an estimated release date. If you’d like to integrate this calendar into your daily routine, you can click the gear icon and select Subscribe to calendar. This will allow you to sync upcoming TV and movie release dates with your default email or calendar application. Stremio offers a stripped down experience in contrast to other media center packages. For instance, it can’t be installed on an Amazon Firestick like Kodi can. Despite this, it still has a lot of potential thanks to its huge library of officially licensed media. do I need to add and add ons ? what do I do? Hello, why do i need a virtual private network to run Stremio, exactly? This may be a dumb question but is there a place to set up parental controls? Hi, Free option on the left menu doesn’t show any movie. Has this to do something with adds on? Trying to watch the Ozarks with Jason Bateman and it says no stream available. How do I watch it. Witch VPN can I use for hide my stremio streaming? Because my ISP already blocked my internet connection last week and I do not want to happen again. Can it stream sports? If so what add ons should I use? I have just installed on my huawei phone can I download films onto my phone to watch on an airplane? I have Stremio installed on my PC (in UK), my brother has it on his in Dubai….His Stremio movie/ tv show content is different to mine……Is it geographically restricted? Yes, that’s correct. While Twitch and YouTube’s content should be almost identical, services like Netflix change their libraries based on the user’s country. This problem can be bypassed by connecting to a VPN, however.